Mainly working as an editor for internal communications at TÜV Rheinland. He is always looking for exciting stories and topics that are interesting to tell. There are plenty of them in the company. He studied history and has a soft spot for Latin America. Always wanted to do something with media and therefore worked for a well-known publishing house in Frankfurt's Gallusviertel for a long time. He likes living in Cologne, because the city is the proof: autosuggestion works. Nowhere else can such local patriotism be found despite such pronounced building sins. And it's simply fun - just like cycling to work. He even attracts attention as a native of Cologne during visits to Berlin, because he simply talks to the people. Andy Fuchs is team leader in the area of personnel marketing and responsible for the employer image of TÜV Rheinland. Since communication with applicants is increasingly taking place on different social media channels, posting, sharing, chirping and blogging are also a major part of his daily work. Born in East Westphalia, he moved to Cologne 15 years ago, where the joie de vivre of the Rhinelanders in general and the people of Cologne in particular initially seemed like a small culture shock. In the meantime, however, a life without the cathedral, Rhine and carnival is hardly imaginable for him. Anna Linn Zafiris is Head of Social Media within the Newsroom at TÜV Rheinland. She is a Cologne native with heart and soul. Nothing to add. That doesn't mean she doesn't love to trade Cologne Cathedral for views of temples, volcanoes, safari jeeps or kangaroos. But at the end of the journey: "Home is where the Dom is". Because she not only supports her colleagues with digital questions, but also privately uses all channels that Web 2.0 provides, friends and family always travel online. If she doesn't tweet, then she walks for hours through Cologne and collects bizarre photos from home on her Instagram account. And if iPhone doesn't take any pictures, it's in the airplane mode in the gym bag in the yoga studio. Dana Goldhammer has been responsible for digitization and innovation at TÜV Rheinland since 2016 and heads a cross-divisional team of innovation and digitization managers. It supports the cultural change to a learning, innovative and sustainable organization among other things in the form of the innovation kickboxing program. She is a sought-after speaker on corporate innovation and digital transformation. He is professor of IT security at the Dortmund University of Applied Sciences and head of the department of security analyses and penetration tests and thus head of "legal hackers" (white hats) at TÜV Rheinland. "Information security is much more than a profession for me. It is a fascinating mixture of technology, strategy and creativity. It is interesting to try out how far you can get, for example, with a penetration test within an unknown IT environment. As a passionate chess player I love to think about the next move... - and at the same time have the good feeling that we help companies to protect themselves from real attackers. Privately I like to travel with my family, often also in my country of birth Romania. Although at home in the Ruhr area, the heart beats for Hamburger SV. I also learned that winning isn't everything and you can also be satisfied with small successes. On Facebook I have the courage to fill the gap. I have no account so far." Frank Ehlert is the head of the Internal Communications and Corporate Publishing team in TÜV Rheinland's newsroom. He studied business administration and already had a lot to do with engineers in his student flat. As a result, he has developed the ability to bring complicated technical issues to the point even for normal readers. At the same time, he is a creative mind and lateral thinker. Frank Ehlert has lived with his family in Cologne for many years. He is a fan of 1. FC Köln, the football team from Cologne, plays guitar in a rock band and is known there to turn up the volume. Communication and other cultures are her passion: Frauke Boeck is always up for a good conversation and on the lookout for exciting people and their stories. She has been with TÜV Rheinland for 21 years and currently works in the Newsroom, where she is responsible for both the Group-wide employee magazine and the knowledge magazine. With German roots and a Spanish heart, she lives passionately following the motto of "Live and let live". She gets new inspirations when traveling, practicing Tai Chi and painting. From solar experts to specialists in cyber security or occupational medicine: Guest authors from a wide variety of fields write for our blog - both colleagues from TÜV Rheinland and external experts. Günter Martin is a computer scientist and Smart Home fan. It is important to him that the smart devices or "Internet of Things" (IoT) do not spy on private life. TÜV Rheinland can test this and create trust. This is the topic of the "Center of Excellence IoT Privacy", where he works as Chief Technology Officer (CTO). "Because the trend at IoTs is towards artificial intelligence (AI), just think of Alexa, I have grown more and more into the AI topic. AI offers great opportunities but also risks." Privately you would meet him while jogging. "At km 12 you get the best ideas". Günter Thiel, Senior Security Consultant at TÜV Rheinland i-sec, has been working in the field of identity management and public key infrastructure for more than eleven years. His main focus is on the conception of customer-specific identity management and public key infrastructure solutions. Further focuses of his work are current questions around the topic of network security. In his spare time, Günter Thiel balances thinking in digital dimensions with a lot of movement - the program then includes inline skating, cycling and walking, for example. He started as a journalist at RTL, learned the other side of communication as spokesman for Peer Steinbrück and has been with TÜV Rheinland as Group spokesman for almost a decade. Technology must serve people, not the other way around. And not everything that is feasible can be done. These are important guiding principles for him when blogging. He was already discussed in his childhood in the extended family with eight children and adults around the table. The weekends belong to mountain biking and the mountains, from the Cologne area to the Alps and South Tyrol. Digital I am probably a late professional, representing the generation from 49, so I am more contemplative and take longer time to say less. "I can talk about any subject for an hour and, if I think about it, 10 minutes." Iris Dohmen is the head of work, industrial and organisational psychology at TÜV Rheinland. The graduate psychologist has been working nationwide in corporate psychology for 20 years. She analyses psychological stress, advises on the subject of "healthy leadership" and is available to assist employees and managers in word and deed. Iris Dohmen lives in Berlin. Her heart beats for the Münsterland, Great Britain, the Opera and the BVB Borussia Dortmund. Jan Scholten is responsible for communication in the Wireless/IoT area at TÜV Rheinland. During his Master's degree in Digital Business Management, he already dealt with trend topics such as Virtual and Augmented Reality. Jens Kliesch completed his English bilingual Abitur at Helmholtz-Gymnasium Bonn in 2000. He then studied geography at the University of Bonn. At TÜV Rheinland, the father of two and amateur sportsman works as local sales manager in the Local Field North in the Mobility business stream. My name is Jörg Meyer zu Altenschildesche. I live near the Dutch border, which is bearable because I like French Fries Spezial, work in Cologne and therefore see the cathedral every day. I'm a press officer at TÜV Rheinland, but I don't just speak - I've been writing for over 40 years. Of course, there were no computers or anything like that (at least not at home; after all, we had a lot of punch cards to play with, because my father worked in a data center). But many of the topics that moved me were exciting (or soon became so): Football or environmental protection, globalization or mobility, this ingenious Internet or the whole world. Kerstin Ferber works in the corporate communications team at TÜV Rheinland. She has been involved in the field of communication since her studies, and over the years she has gained a lot of experience in various areas of communication. Her current area of work and interest is internal communication. Before joining TÜV Rheinland, she lived and worked in countries near and far. Now she lives happily and contentedly with her family in the Rhineland and sometimes wonders how close the good can actually lie, unless she is stuck in traffic again. Hmm, I wonder what you want to know about me. Did I enjoy my studies to the full? Was I also allowed to do a solid education once? Do I find my job in marketing and communication at TÜV Rheinland varied and fascinating? Do I love the refreshing balancing act between work and family? Whether I like to move on or at the water, no matter if I am frozen liquid or airy? Will my expert colleagues from the industry service sector impress me again and again? Am I eager to listen when they report on the causality of energy or technology issues? Whether I try - at least in my mind - to bring these innovations into my everyday life? And, whether I read more than I write? The answer to all questions is: Yes. Nigel Stanley is responsible for Global OT and Cybersecurity at TÜV Rheinland and a recognized expert on complex cyber security projects. With his know-how and practical experience, he helps many small and large companies to protect themselves against the increasing cyber risks. He has also written three books on database and development technologies and is a regular speaker at international events and conferences. Norman Hübner is a press spokesman for the Digital Transformation & Cybersecurity division at TÜV Rheinland. As a fan of space research, science fiction and quantum physics, he is fascinated by the possibilities of digital change and the opportunity to accompany companies virtually up close on their way through digitalization. "We are still at the very beginning of the digital transformation. I find it very exciting to be able to play an active role in this phase of real change with a company as TÜV Rheinland". In his limited free time, the father of two is a family man. In his daily work, prudence and mutual respect for the added value of his colleagues are important to him. Rainer Weiskirchen is TÜV Rheinland press spokesman in Nuremberg, Franconia, and therefore has no problem using the Southern German dialect term "Fasching" instead of the "carnival" on Western Germany’s RTL breakfast television. When he's not talking to the press, he's busy organizing the Long Night of Sciences, preparing the indoor marathon or running as TÜV Rheinland Panda at the ToonWalk. Regine Gralla-Züge is a marketing and communications expert at TÜV Rheinland´s headquarters in Cologne. The stations at TÜV Rheinland are as varied as her tasks and her technical expertise - from international training and further education about health and safety at the workplace to trade fairs and events. Health is also important to her in her scarce leisure time, as she cannot do without sport. When she's not standing on the stepper or the vibration plate, she likes to read crime novels, go to the cinema or theatre or travel to Italy, where her husband is currently working. In addition to Italian "Dolce Vita", good cuisine and art & culture, her heart beats for Italian shoes and the soccer club S04. Rico Barth leads the Competence Center for Connected and Automated Driving within TÜV Rheinland. The graduate engineer with many years of professional experience in the automotive sector develops new services as well as validation and testing processes for ADAS and Autonomous Functionalities. Furthermore he is active in various test fields for software and diagnostics, especially in the area of sensor technology, vehicle in the loop approach and connectivity challenges. Rodrigo Mejías is Customer Service Manager at TÜV Rheinland Andino in Santiago de Chile. As a journalist with 10 years of experience, he has worked for leading Chilean television programs, among others. Today he is dedicated to corporate communications and digital marketing. His philosophy is to meet the needs and requirements of his customers, because this is how companies progress on the right track - even if it sometimes takes a little extra time. Sabine Hager is Diversity Manager in HRD & Diversity at TÜV Rheinland and is convinced that the diversity of the workforce is an important contribution to corporate success and employee satisfaction. Only in an open and unprejudiced corporate culture can all employees*develop their full potential. Equal opportunities - also in the management positions of the economy - is just as important to her as the compatibility of career and family. That’s a topic that she can also push personally in her latest project as a granny. Stefanie Ott is responsible for marketing and communication at TÜV Rheinland i-sec GmbH. Besides the classic marketing topics, her heart beats for employer branding. "Here I can contribute not only my knowledge in marketing, but also my previous experience in personnel development. That's a perfect combination for me." Born in Saarland, she is the mother of two children and loves to travel privately with the whole family to arouse and promote interest and openness for other cultures among the children. When there is some time left besides family and job, she loves running or relaxes with music. Dr. Stefan Poppelreuter holds a degree in psychology and heads the Corporate & HR Development department in the Personnel and Organisational Development business unit at the TÜV Rheinland Academy. He received his doctorate in 1996 on the subject of "workaholics", which did not prevent him from working as a freelance traffic psychology expert and moderator for TÜV Rheinland for eleven years. He has worked full-time for TÜV Rheinland since 2001. Communication is for him the instrument, appreciation the attitude to understand people, to do things better and to achieve satisfaction. He is the father of two grown-up sons, loves rock and metal (a passion he shares with many other TÜV Rheinländer), FC Bayern Munich (since 1970 - no "fair-weather fan") and is always in the mood for a good chat. Dr. Stephan Sandvoss is an expert in the Competence Center Nuclear Technology & Radiation Protection, TÜV Rheinland Industrie Service. The father of a family is involved as a member of the works council and as a core member of the fathers' network. "TÜV Rheinland", says Stephan Sandvoss, "is for me an employer where I can combine work and family very well". After his professional training as an IT specialist, Thomas Werner studied law and business psychology at the University of Lüneburg. Today he is at home at TÜV Rheinland i-sec GmbH in the areas of data protection, cybercrime and information security management. When he is not advising banks and corporations on the conversion from the Federal Data Protection Act to the EU Basic Data Protection Ordinance, Thomas Werner spends a lot of time privately with his dog or relaxes on the banks of the Alster in Hamburg. 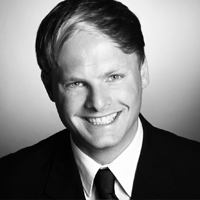 Tilman M. Dralle is a consultant in the field of data protection and information security at TÜV Rheinland i-sec GmbH. "Cloud Computing, Big Data, Smart Homes, Smart Cars, Internet of Things: These keywords alone show that the protection of personal data and other confidential information is becoming increasingly important in the digital world!” In addition to his job, the trained commercial lawyer is also involved in the administration of his Synology NAS home server or is working on Raspberry Pi projects. Tobias Hainke is project manager in the Digital Learning Team of TÜV Rheinland Akademie GmbH. People and their learning in Web 2.0 and other web generations fascinate the e-learning specialist. He outlines his motivation as followed: "I am just as impressed by how people as social beings move and learn in new learning spaces as I am by the exciting question of implementing new forms of teaching at TÜV Rheinland. When Tobias Hainke does not deal with questions of blended learning, travel is one of his hobbies. His last trip took him through Africa in a jeep, for example, where he was particularly impressed by the knowledge of foreign cultures and the beauty of the landscape. Ulrike Mazzoccoli is a process organization consultant in the Mobility division of TÜV Rheinland Mobility GmbH. You usually meet her in Bonn where there is good food: Whether passionately home-cooked or served up by others, family and friends must be there as well. Even if on such occasions her beloved godchild messes up the equally beloved order at home a bit. What else drives her? "Travel, travel, travel. "Preferably to Bella Italia or on the seven seas." Volker Adamske works for TÜV Rheinland Consulting as Lead Consultant in the area of Digital Solution & Services. He is particularly concerned with the challenges of digital transformation. He is the overall project manager for projects in the area of "Automated Service Quality", is responsible for the overall architecture of the solution and designs and implements the analytics layer based on Elasticsearch himself. Wolfgang Kiener (M.Sc.) heads up the Center of Excellence for Advanced Threats in the Cybersecurity department of TÜV Rheinland. He is responsible for the strategic service development in threat management and operational technology security (industrial security). With more than 15 years of professional experience in major international corporations such as Siemens, T-Systems, Verizon and CSC, Wolfgang boasts extensive experience in the development of innovative security services taking into account technological and commercial aspects. He holds a number of IT and security certifications such as CISSP, CISM, CCSK, ITIL, ISO 27001 Lead Implementer und GIAC.